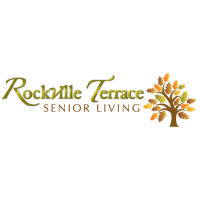 Rockville Terrace is extending an invitation for support at our Alzheimer’s Fundraising event, which will be hosted every month to showcase a different country of the world. Hence, Travel Around the World with Rockville Terrace. We will be hosting food, live entertainment and drinks that are unique to the country chosen by our residents and staff. Our first event will be held on May 9th, 2019 we will be traveling to the Philippines. According to recent studies, the Alzheimer’s Association “estimated the number of Americans living with Alzheimer's is growing — and growing fast. 5.8 million Americans are living with Alzheimer’s. By 2050, this number is projected to rise to nearly 14 million.” We are looking for donation items to raffle at each one of these events. Any amount and/or item is greatly appreciated. You are more than welcome to mail the item in or call us for pick up. Remember the Alzheimer’s Association is a non- profit organization under Section 501 (c) (3); therefore, your donation is 100% tax deductible. Please use the tax ID number in the letter to claim your tax deduction. Thank you again for your support. Please mark your calendars and attend our event.